(Reuters) – North Dakota Republican Governor Doug Burgum signed legislation on Wednesday making it a crime for doctors to perform a second-trimester abortion using instruments like forceps and clamps to remove the fetus from the womb. 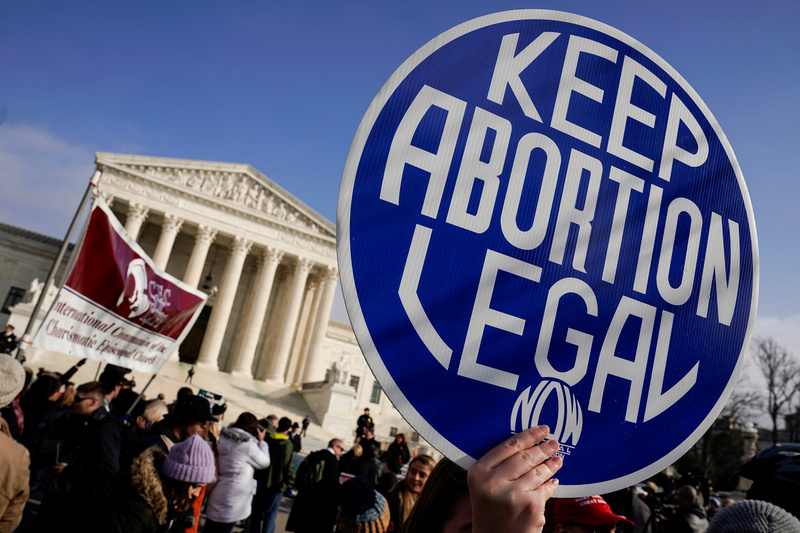 The move came the same day that Ohio’s Republican-controlled legislature passed one of the nation’s most restrictive abortion bans – outlawing the procedure if a doctor can detect a heartbeat. The bill now goes to Republican Governor Mike DeWine, who is expected to sign it. North Dakota has one abortion provider, the Red River Women&rsquo;s Clinic in Fargo. Clinic Director Tammi Kromenaker did not immediately respond to a request for comment. She previously said her clinic would wait for a decision in a case involving similar legislation in Arkansas before deciding on a possible legal challenge to HB 1546. (Reuters) – Federal and state officials in Louisiana are investigating suspicious fires that destroyed three predominantly black churches in 10 days in one mostly rural parish, authorities said on Saturday. Investigators have not concluded whether the three fires at Baptist churches in St. Landry Parish, about 100 miles (160 km) northwest of New Orleans, were connected, said Ashley Rodrigue, a spokeswoman for the Louisiana Fire Marshall’s Office. They also have not determined whether the blazes, which occurred between March 26 and Thursday, were intentionally set, she said in an email. At a news conference on Thursday, State Fire Marshall Butch Browning was asked if investigators were treating the fires as potential hate crimes. “If the hate crime definition was violated, we will certainly vet those things out,” Browning said. The number of hate crimes in the United States increased 17 percent in 2017, the third consecutive year such attacks rose, according to FBI data released last fall. Investigators probing the St. Landry Parish fires were awaiting lab results but view the three blazes as “suspicious,” Browning said at the news conference. Without giving details, he said certain “patterns” had been discovered, but that it was too early to say whether a single individual had started the fires. 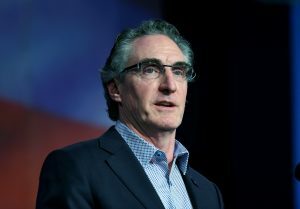 “There certainly is a commonality and whether that leads to a person or persons or groups, we don’t know,” Browning said. The FBI and U.S. Bureau of Alcohol, Tobacco, Firearms and Explosives have joined in the investigation, Browning said. Investigators have concluded that a fourth fire last Sunday, more than 200 miles outside St. Landry Parish at a predominantly white church in Vivian in northwest Louisiana, was intentionally set, state fire officials said in a statement. That fire, inside the sanctuary at Vivian United Pentecostal Church, was relatively small and burned itself out. 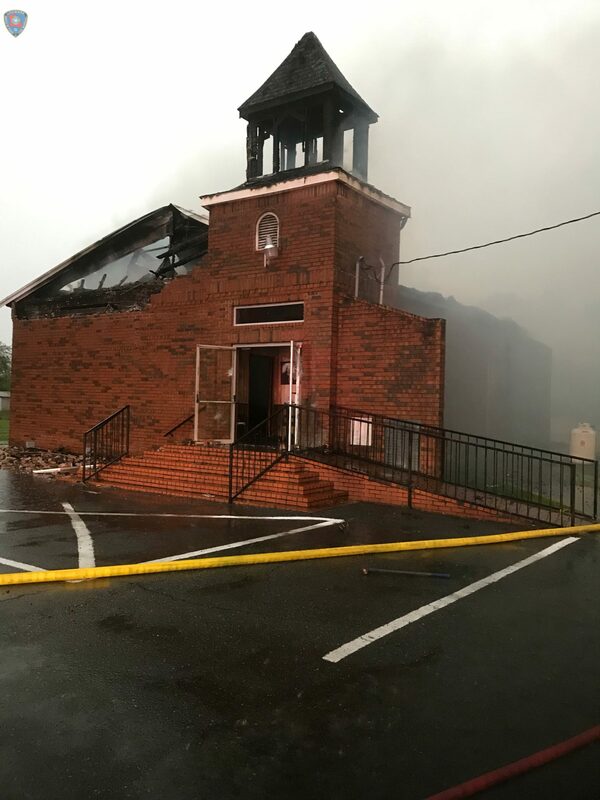 No one has been arrested in connection with any of the church fires, which have not resulted in any injuries, officials said. 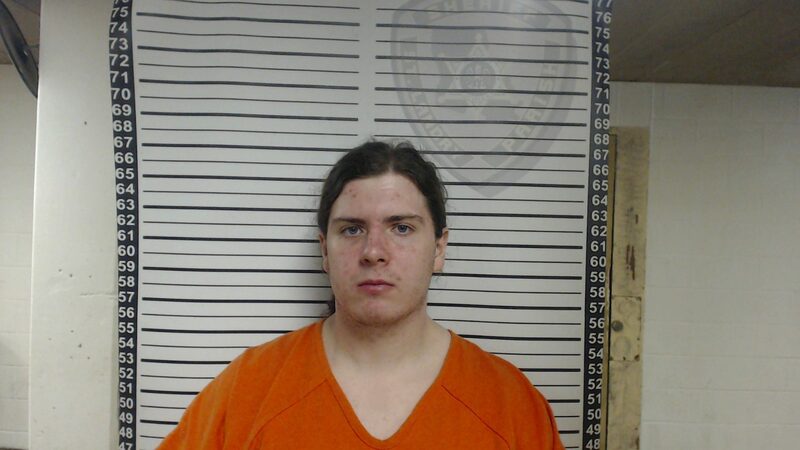 (Reuters) – Sheriff’s deputies in Virginia on Sunday arrested a 21-year-old man wanted on suspicion of shooting five people to death in Louisiana including his parents, his girlfriend and members of her family. 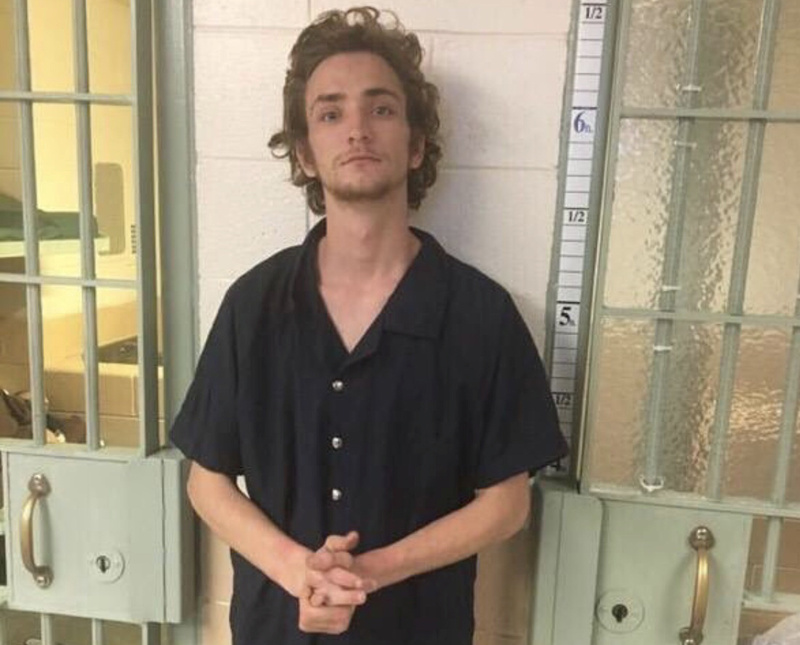 Following a multistate manhunt, Dakota Theriot was arrested in Richmond County, Virginia, after pointing a firearm out the window of a home, officials said. “Deputies challenged him and he surrendered without incident and is at NNRJ (Northern Neck Regional Jail) without bond,” the Richmond County Sheriff’s Office said on Twitter. Theriot will be taken back to Louisiana to face charges including first-degree homicide, home invasion and illegal use of weapons, the Ascension Parish Sheriff’s Office in Louisiana said. The Livingston Parish Sheriff’s office in Louisiana said he was wanted on two counts of first-degree homicide. Both counties are in the Baton Rouge area and about 1,000 miles (1,600 km) from where he was arrested a day after the killings. Theriot was identified as the suspect in the Saturday morning slayings of Billy Ernest, 43, Tanner Ernest, 17, and Summer Ernest, 20, Livingston Parish officials said. Investigators believed Summer Ernest was Theriot’s girlfriend, NBC News reported, citing authorities. Tanner was her brother and Billy their father. Theriot is believed to have stolen their vehicle and driven to nearby Ascension Parish, to the home of his parents where he lived until recently when he was asked to leave, officials said. “This is probably … one of the worst domestic violence incidents I have seen in quite a while, for a young man to walk into a bedroom and kill his mother and father, and then to kill the family in Livingston he had a connection with,” Ascension Parish Sheriff Bobby Webre told a news conference. 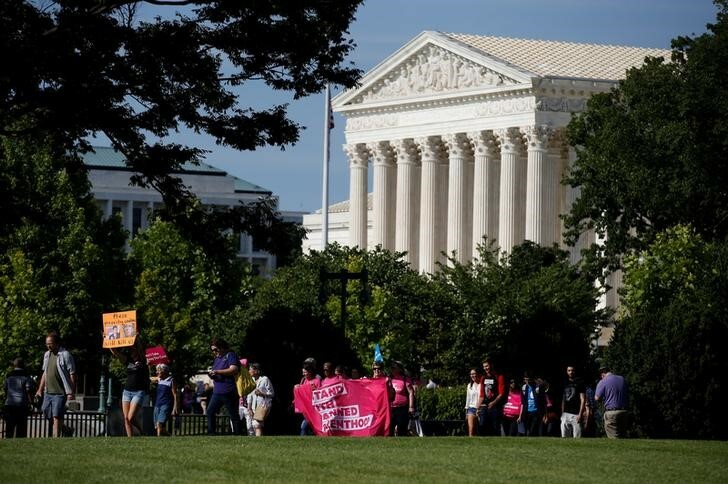 WASHINGTON (Reuters) – The U.S. Supreme Court on Monday rejected appeals by Louisiana and Kansas seeking to end public funding by those states to Planned Parenthood, a national women’s healthcare, and abortion provider, through the Medicaid program. 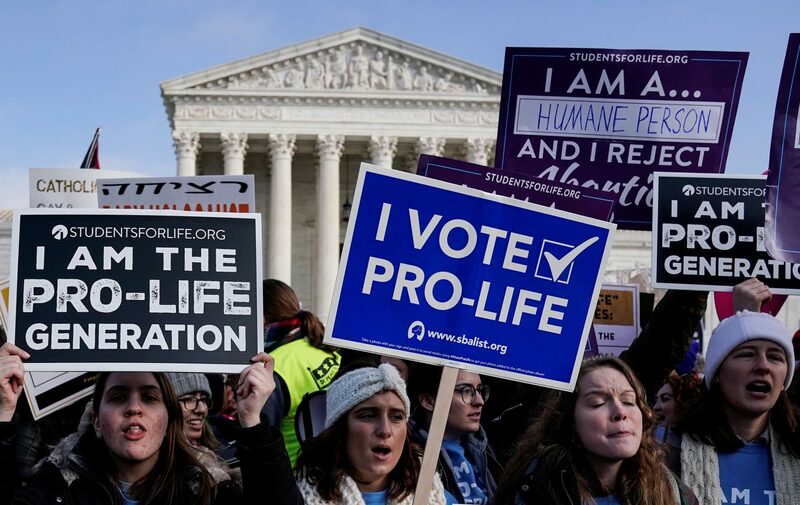 The justices left intact lower court rulings that prevented the two states from stripping government healthcare funding from local Planned Parenthood affiliates. Three conservative justices, Clarence Thomas, Samuel Alito and Neil Gorsuch, dissented from the decision by the nine-member court, saying it should have heard the appeals by the states. Louisiana and Kansas announced plans to terminate funding for Planned Parenthood through Medicaid after an anti-abortion group released videos in 2015 purporting to show Planned Parenthood executives negotiating the for-profit sale of fetal tissue and body parts. Planned Parenthood denied the allegations and said the videos were heavily edited and misleading. 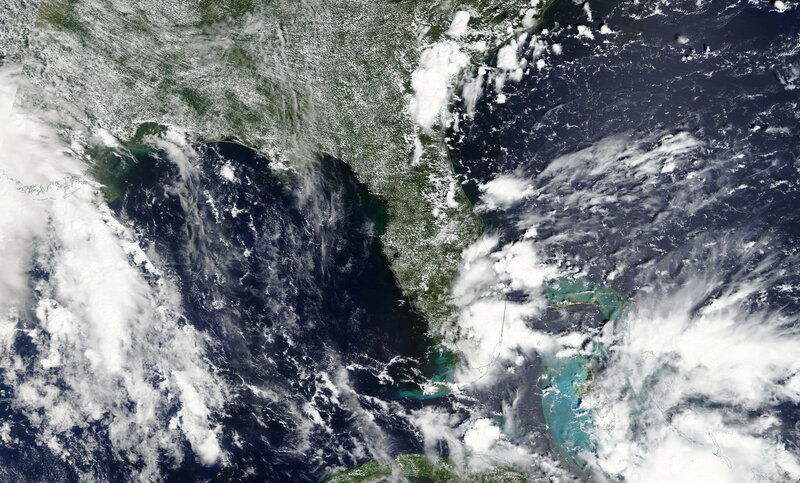 (Reuters) – Waves began to batter parts of the U.S. Gulf Coast on Tuesday as the region felt the first hit of Tropical Storm Gordon, which is expected to become a hurricane before it comes ashore with high winds and heavy rain, forecasters said. 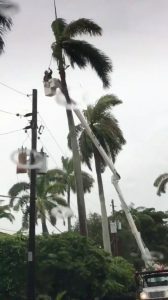 (Reuters) – A tropical storm whipped the southern tip of Florida with high winds and rain on Monday morning and was forecast to gain strength as it passed over the Gulf of Mexico toward Louisiana, officials said. Tropical Storm Gordon was forecast to drop as much as 8 inches (20 cm) of rain in some areas of the U.S. South still reeling from hurricanes a year ago. 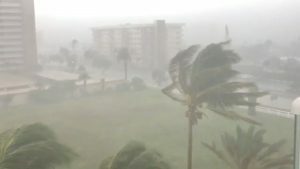 The storm was generating winds of 45 miles per hour (72 km/h) on Monday as it steamed west-northwest at 17 miles an hour (27 km/h), National Hurricane Center Director Kenneth Graham said in a video briefing on Facebook. 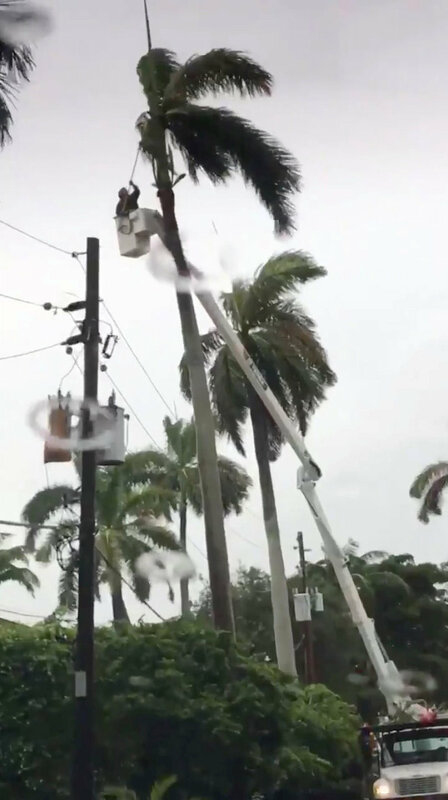 The National Hurricane Center warned of high winds around parts of Florida as the storm passed over the southern tip of the state on Monday morning. 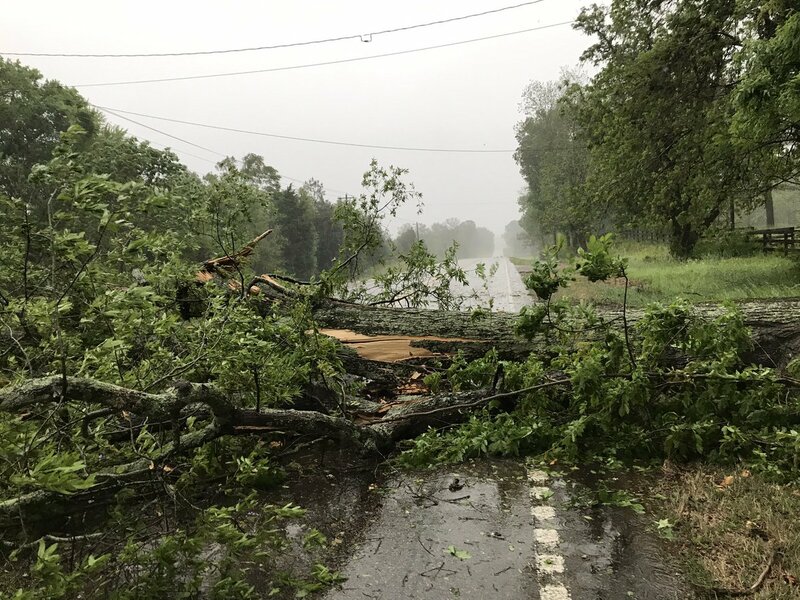 The storm was expected to strengthen over the Gulf of Mexico, and reach the central Gulf Coast states of Alabama, Mississippi and Louisiana late on Tuesday, the National Hurricane Center said. 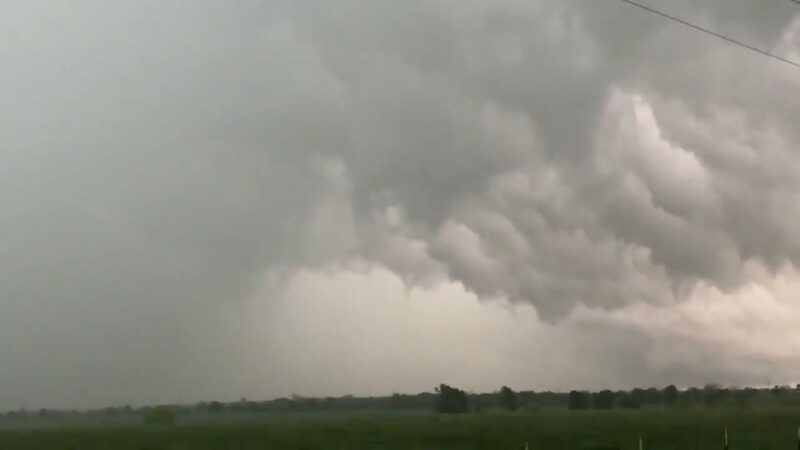 At the mouth of the Mississippi River, around the area of New Orleans, the storm could generate a surge of up to 4 feet (1 meter) and smaller surges could hit coastland along other parts of the Gulf Coast, Graham said. 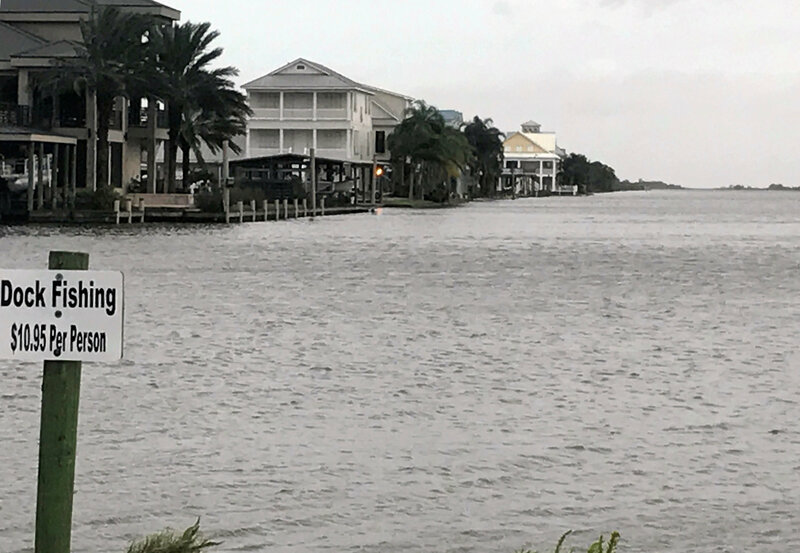 “The combination of a dangerous storm surge and the tide will cause normally dry areas near the coast to be flooded by rising waters moving inland from the shoreline,” the National Hurricane Center said in a statement.